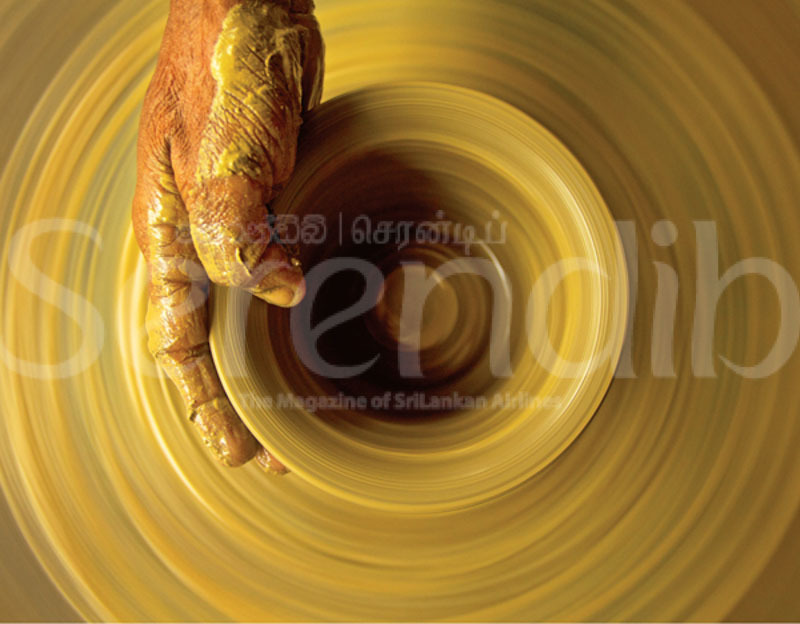 Dumbara weaving is a traditional art of Sri Lanka; today these designs have been infused with modern art. 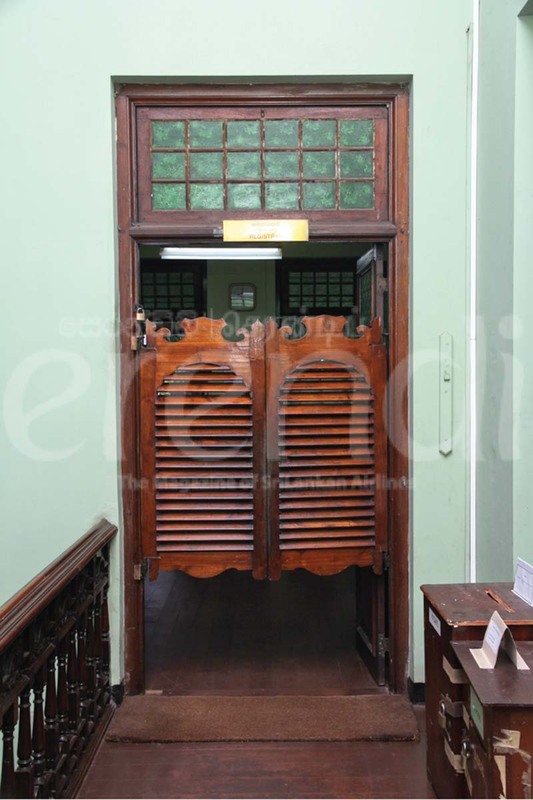 If only walls could talk, we would be privy to so much from the building that is the heart of the University of Colombo. 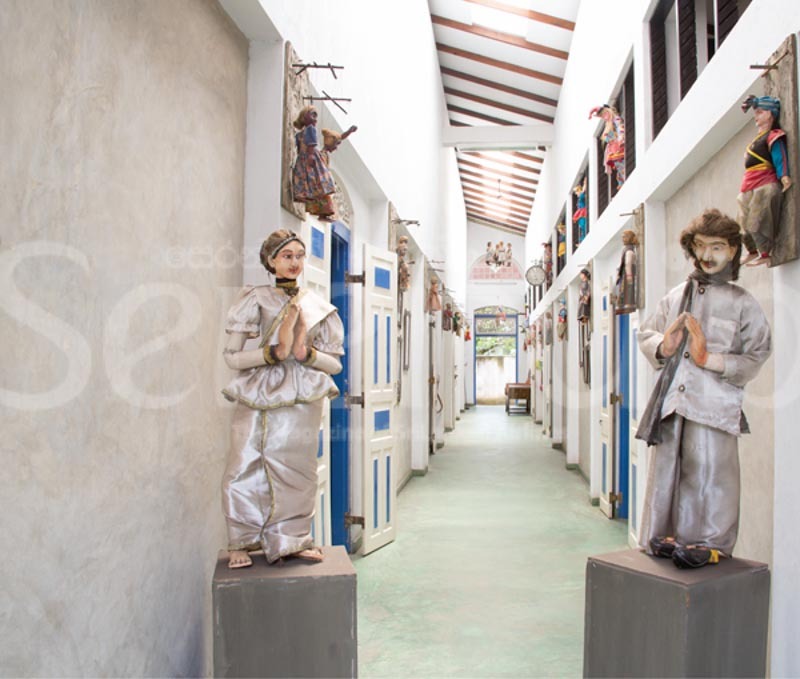 The fascinating puppet arts of Sri Lanka can still be seen in Ambalangoda or at the Puppet Art Museum in Colombo. 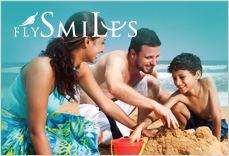 On the beaches of the North-Eastern part of the Island, there lies a hidden treasure. Sir Ian Botham made his name as one of the greatest international cricketers of all time. 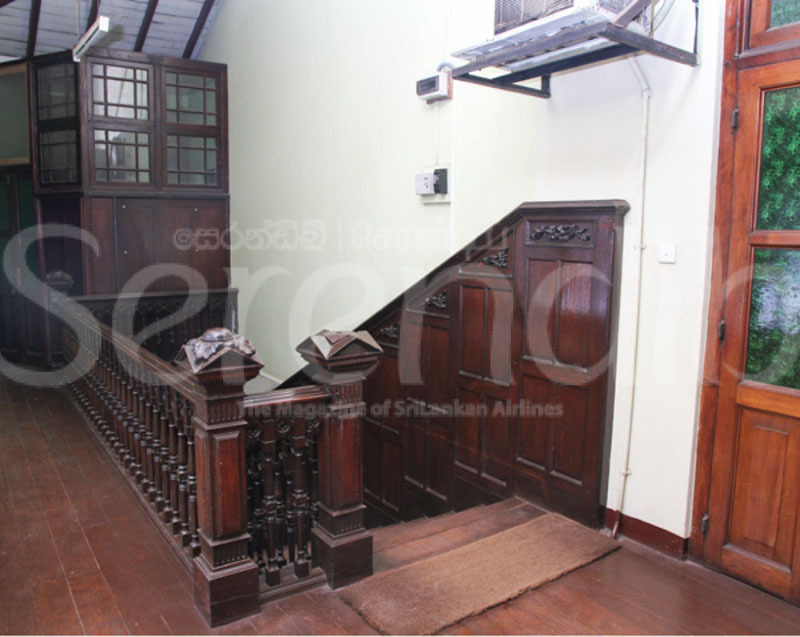 If only walls could talk, we would be privy to so much from the building that is the heart of the University of Colombo. We'd hear tales of wealth and waste, of love and dedication, of tragedy and death and the management of a university of many faculties. This building, College House, with its unique architectural style, more Victorian-Italianate than Neo-Classical as many heritage buildings in Sri Lanka are, is the administration block of the University of Colombo. 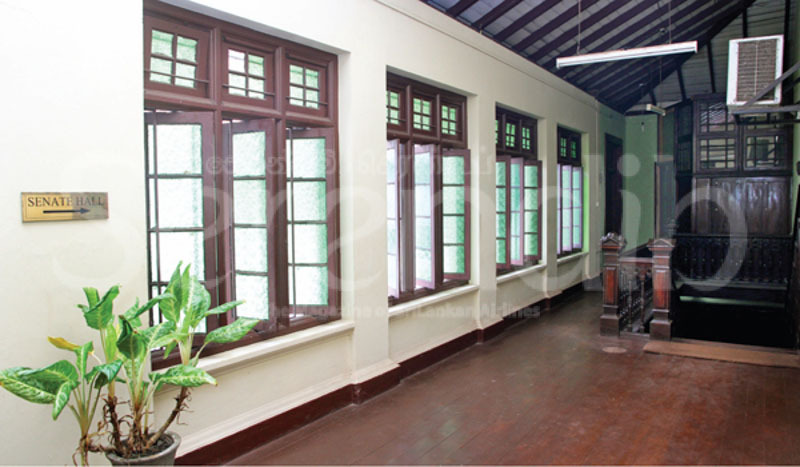 College House is set in a large well-maintained garden along Thurstan Road, now named Kumaratunge Munidasa Mawatha, in Kollupitiya (Colpetty) Colombo 3. 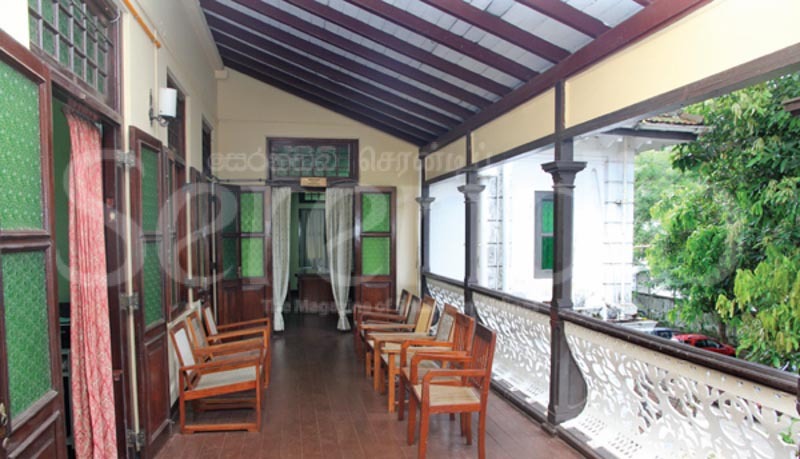 The front view of the College House is entirely different from all other old buildings in the major cities of Sri Lanka. 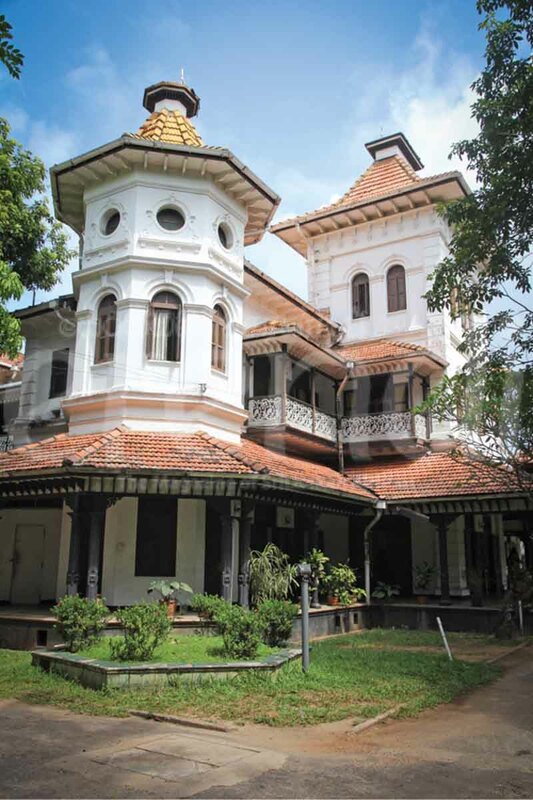 The College House traces its origin to one of Ceylon's most generous philanthropists, Charles Henry de Soysa, who gave unstintingly with a vision far advanced for his time. He donated to religion, education, health and agriculture. 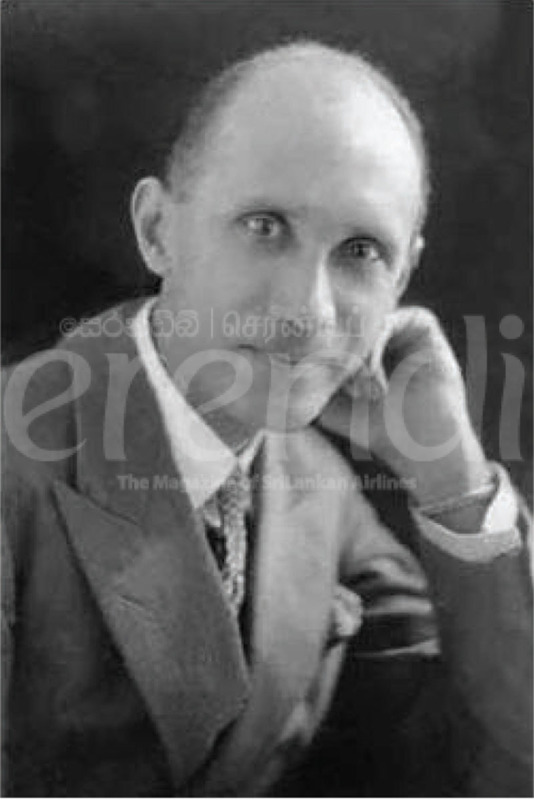 While helping in the building of Buddhist, Christian and Hindu places of worship, he started two famous schools in Moratuwa: Prince and Princess of Wales Colleges. His donation to the health sector went far beyond the shores of Ceylon; Great Ormond Street and Brompton Hospitals in London being beneficiaries of his munificence. 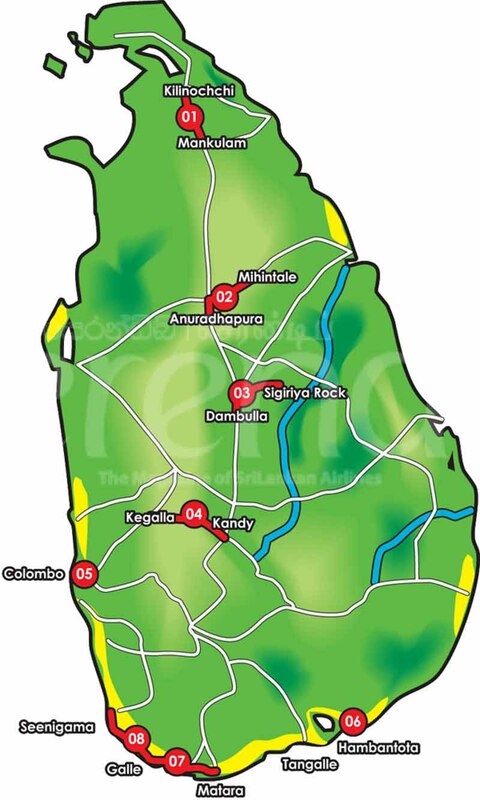 He owned a vast acreage of land, which now falls into Kollupitiya and Cinnamon Gardens, many roads and areas bearing his first or last name. He earned his wealth from real estate, mining and plantations. C H de Soysa gifted a large piece of land to his fourth son, Thomas Henry Arthur de Soysa. This son built a magnificent house with turrets, conical roofs, hidden passageways and balconies, meant to be a gift to his wife Regina and a happy home for his family. 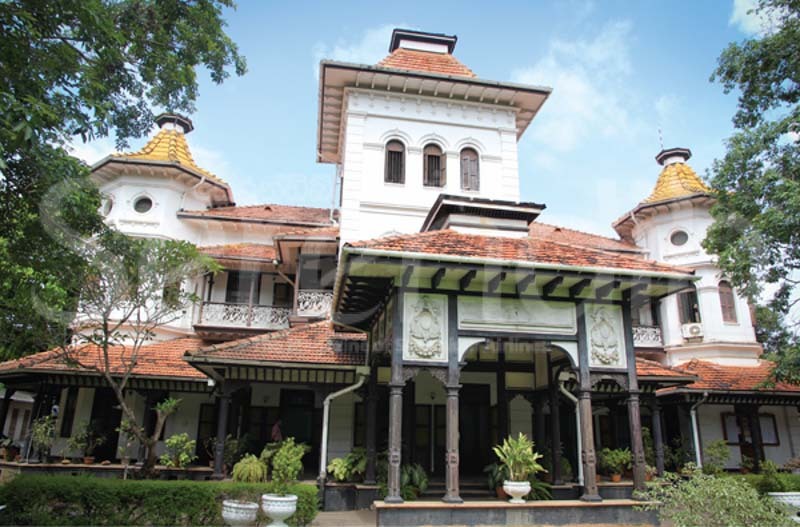 Thus the name given to the house - Regina Walauwe, walauwe being the Sinhala equivalent of the British manor. No expense was spared. After all, if his father had entertained the then Prince of Wales for a meal with specially crafted gold plates and dishes, T H A de Soysa may have had dreams of hosting the King himself. The building of the house was started in 1912. It is whispered, not documented, that this fourth son loved betting on horses. Thus the origin of an undocumented second name to the house: 'Laksekata kodiya' which when translated reads ‘flag for a hundred thousand.' Maybe this name carried a sneer within it since the owner, de Soysa junior, would hoist a flag each time he won a lakh at the races. â€¨That must have been some winning in those non-inflationary days! The early death of his young wife Regina was doubly tragic since the vast house was not completely built. The hearse carrying her coffin was driven along the driveway and through the arch of the still incomplete residence. But six years later a happier event occurred. â€¨The wedding of the eldest daughter, Violet, was celebrated with a huge magul maduwa (wedding reception hall) constructed on the front lawn. However, T H A de Soysa wished to sell his house. The idea mooted to offer facilities for higher education in the country was accepted by the British government and Regina Walauwe was bought to constitute the nucleus of the to-be-inaugurated university. The name of the building was changed to College House and the single campus university, College of Ceylon was set up in 1921. As mentioned earlier, College House is unique and stands out as such. The most prominent feature of it is the square second floor, smaller in construction, which has beside it, to the left and right tall, many windowed turrets. 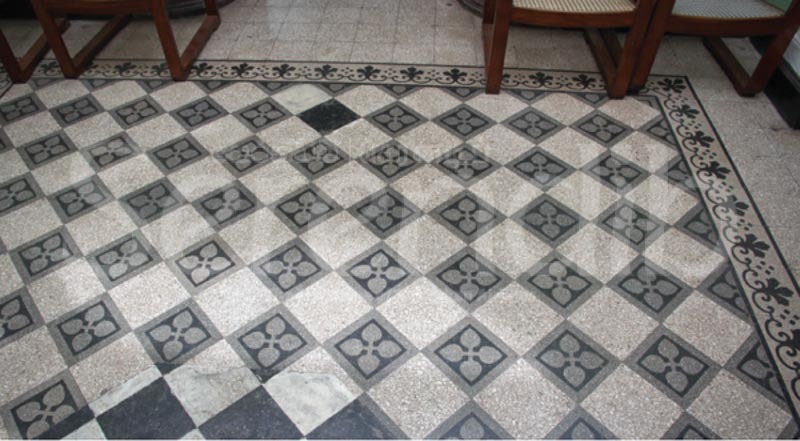 At the ground floor is a square patio whose ceiling is decorated. 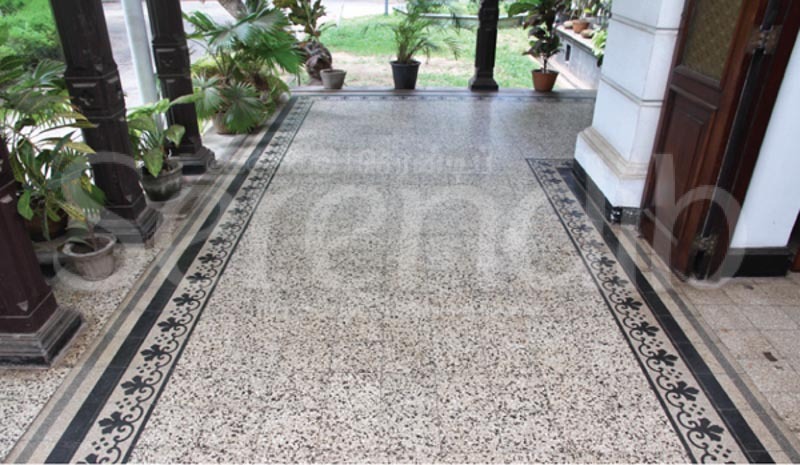 Climb a couple of steps and you are in the wide verandah. 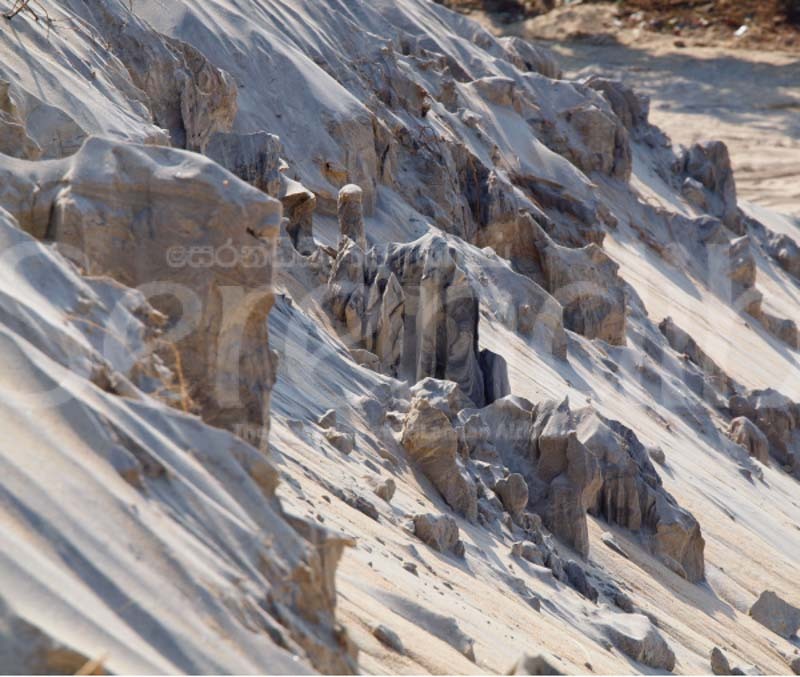 Enter and you face the stairway, standing on a dramatically decorated marble floor in black and white. 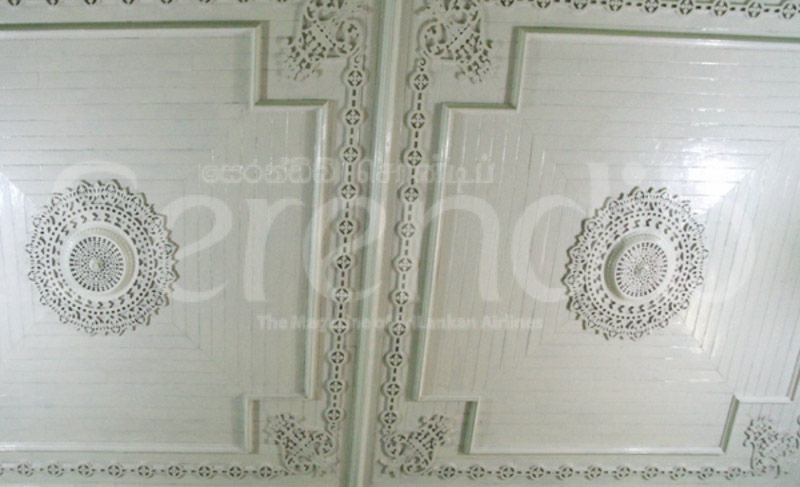 Look up and you see the ceiling of the first floor roof with its stylised pattern of lotus flowers. 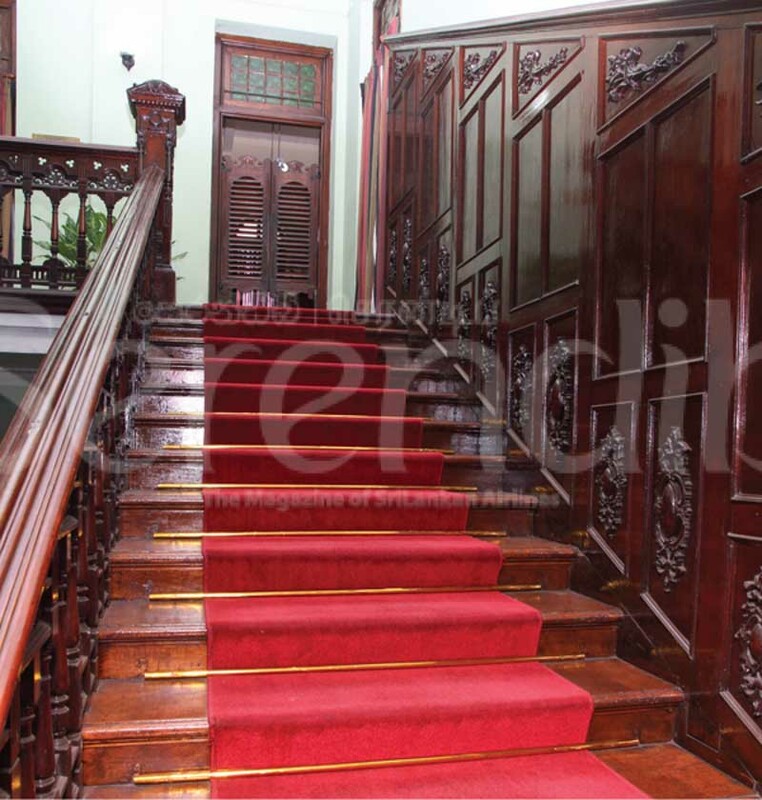 The stairway is truly stunning with its solid teak balustrade patterned all along its two span length with large ornately carved stands on the midway landing and where the stair ends on the first floor. Along the wall beside the stairs is a four foot panel, also decorated with inlaid designs in teak wood. The upstair floor has wood paneling of expensive timber. Wide spaces separate the rooms on the first floor with short wooden swing doors irreverently resembling those in a Wild West bar room. Balconies go all around the first floor, not as a square but with some jutting out and some withdrawn. 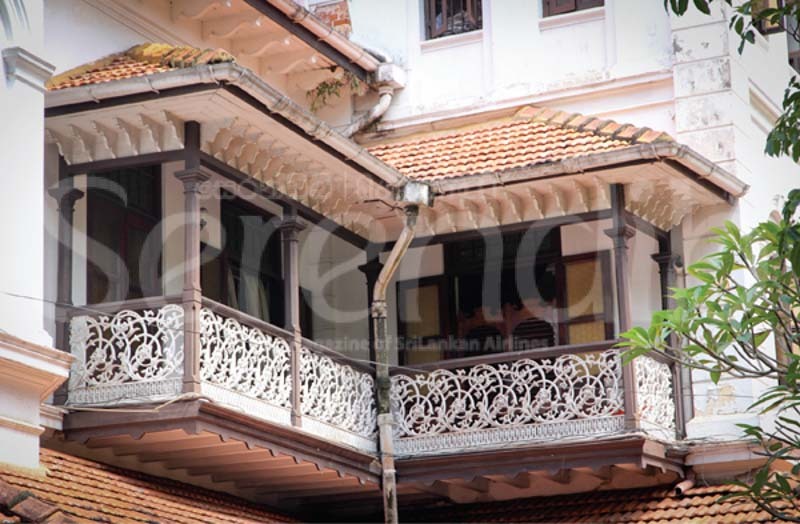 â€¨The balcony balustrades are beautifully patterned and are in metal, painted white. 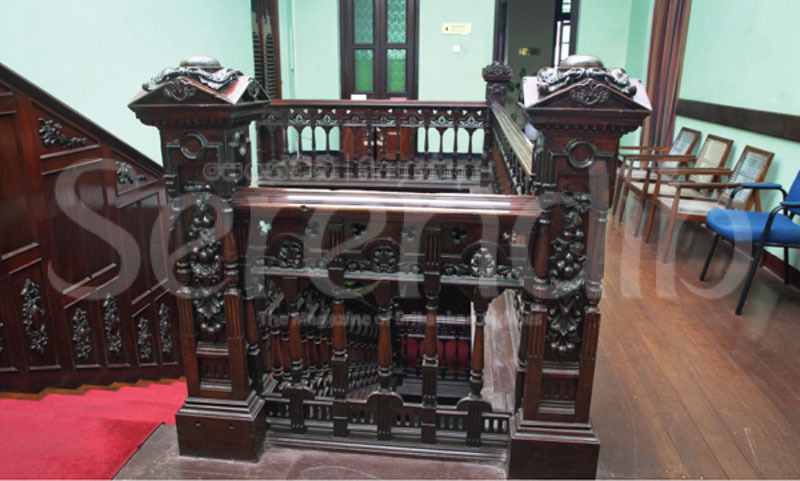 The Registrar of the University, M K A S Edward assured that this famous building would "last another hundred years" because it is well maintained. Recently an addition to the building was completed retaining the architectural style of the house. â€¨The extension was seamlessly executed so that you do not see it as a latter day construct. The balconies, window frames and floor were replicated carefully so that no difference is seen in the main building and its latter day addition. The Registrar's wish may come true and in addition, College House alias Regina Walauwe, which is a century old, may very well be declared a heritage site.